Managed through carelessness to lose years of posts so it will soon be time to start over. Plus, happily, I've been diverted by a travelling life. No prizes for guessing what will be top of the 2019 New Year Resolutions! An adult soft drink means designated drivers and non-drinkers can feel part of the al fresco party crowd this summer. 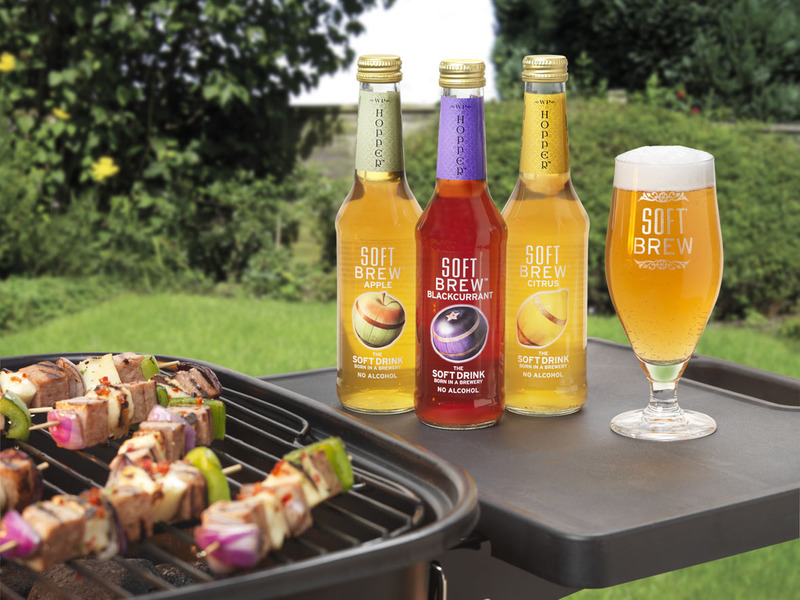 Hopper Soft Brew® is the world’s first brewed zero alcohol adult soft drink. Made from malted barley and hops, fruit juices and spring water, it has been traditionally brewed, but the fermenting process halted before alcohol production takes place. The result is a soft drink with a smooth and mature taste that complements food perfectly; it also pours like a beer with a frothy head. For further info, log on to www.juicebrewery.com. Outwell has redesigned its website. Building on the easy access to product information and the facility to search for the nearest retailers, the site now features an Outwell TV page where campers can find video product presentations and see feature films that will help them use their purchases correctly. Further developments include a community area that promises a lively source of camping information, features, competitions and interaction to improve the outdoor experience and enhance the booming Facebook presence. Campers will also be able to check out the latest news and download the most recent issue of the popular Camp Magazine. To improve customer services, an updated FAQ will help campers quickly find answers to their camping and equipment related questions and any problem experienced. The contact page will enable emails to reach the best in-house expert if a solution cannot be found online. Join Outwell online at www.outwell.co.uk. Brook House Farm Certificated Site has won the Best CS award for the second time in four years. 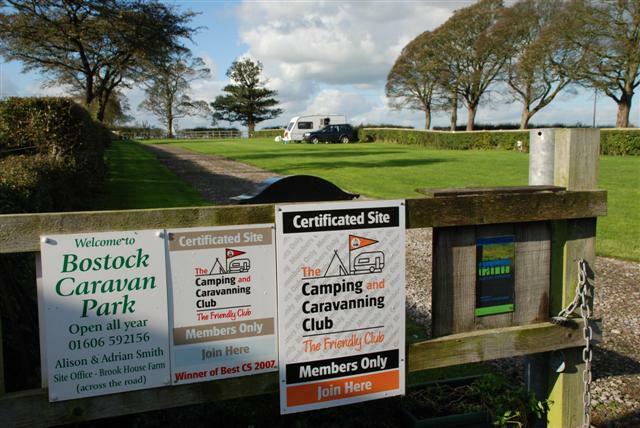 The site was nominated by members of The Camping and Caravanning Club in 2011 after first winning the accolade in 2007. The Certificated Site (CS) is in Middlewich, Cheshire in a secluded, rural location, but within easy reach of the region’s towns and cities. Members’ reviews describe the site as “very clean and tidy and well laid out”, with one member saying, “It was a real joy to have stayed here”. Also rated highly was the “warm and friendly” welcome from the site’s owners, Alison and Adrian Smith. As well as enjoying the peaceful atmosphere on the site, campers can treat themselves to some homemade goodies. A small shop on the site sells cakes and pies, chutneys, marmalades, jams and even ice cream, all made by Adrian’s mother, a long-time member of the WI. For more information about the CS of the Year competition, visit www.csoftheyear.co.uk. To book a pitch at Brook House Farm, call the site on 01606 592 156. For general information about Certificated Sites, visit www.cersites.co.uk. Vasa thermals are the perfect first layer for active children who enjoy total freedom of movement without any unwanted restrictions from their clothing and an extra layer of warmth to keep them outside for longer. even the coolest kids love the fun colours to layer up in and add some colour to a dull winter’s day. Machine washable, made from soft polyester and available in 4 bright fashionable colourways - red, green, cerise and bright blue - the thermals are not only the perfect base layer, they also make excellent pyjamas to snuggle up in on a cold winter’s night; available nationwide and cost £25.00 for a set. Stockist information is available from on 01302 746680 or www.kozikidz.co.uk. The LuminAID light is an incredibly useful innovation - a solar-rechargeable, inflatable lamp that packs flat and inflates to create a lightweight, waterproof lantern. Safe, sustainable, and portable, flexible photovoltaic film is laminated to polyethelenevinyl acetate plastic (PEVA) and it produces a light similar to a lantern, fully charging in six hours to give five hours' light. The inflatable core measures 9" square; printed on it is a pattern of white dots which diffuses the LED light. 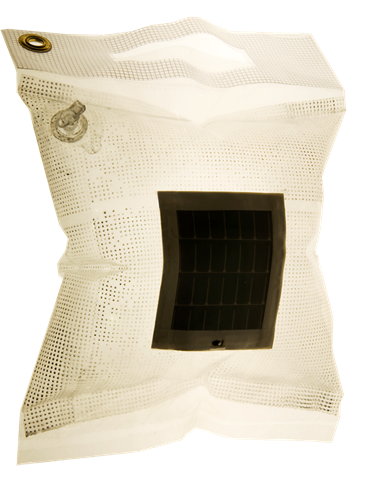 Developed for use in disaster relief situations, it has obvious potential outdoors - www.luminaidlab.com. Click on pic for link. Packed with ideas! Click on pic for link. A tree becomes rooted and tough when a wind tries to bring it down. Those who have always been protected are at risk from the softest breeze. Seriousness is the only refuge of the shallow. We need the possibility of escape as surely as we need hope. For the man sound in body and serene of mind there is no such thing as bad weather. A good traveller has no fixed plan and is not intent on arriving. Vagabonding is about gaining the courage to loosen your grip on the so-called certainties of this world. Allons! Whoever you are, come travel with me. Enrich that smile her eyes began? Ray Jardine is an intriguing character who has led a life full of adventure; his book 'Beyond Backpacking' prompted the ultralight outdoor revolution. An oddball to some and inspirational to many, he is the author of several other titles including 'Trail Life' and 'The Ray-Way Tarp Book'. Ray Jardine's Adventure Page (www.rayjardine.com) is an idiosyncratic mine of information - a revealing insight into the world of this unique character. The site features adventurous trips ranging from long distance backpacking through sea kayaking, canoeing, round-the-world sailing, ocean rowing and bicycle touring to skiing to the South Pole and mountaineering. Stimulating and fun, the 'Ray Way' offers an uplifting view on living life to the full that challenges conventional thinking about far more than gear. Copyright: John Traynor 2010. Watermark theme. Powered by Blogger.